The Living Kitchen is the show where real food, food intolerances and preparedness become a sustainable lifestyle. 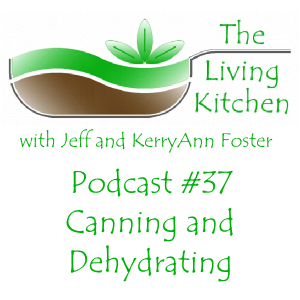 This week on The Living Kitchen, KerryAnn and Jeff discuss canning and dehydrating. Gardens are starting to go in and now is the time to be prepared to preserve the harvest. In this episode, we cover the knowledge and equipment you need to get started.